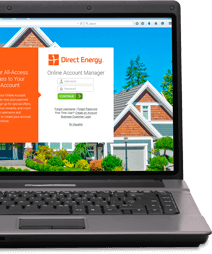 Get electricity, natural gas, & home services from a provider you can trust. You want it? We've got it! We have what you want in an energy company, no matter your lifestyle: no-contract plans, fixed-rate plans, green energy, and beyond. Looking for more than just energy? You can take advantage of our innovative product offerings and engaging technology - all of which are designed to meet a range of customer needs in the 21st century. You will also benefit from cutting-edge customer service via phone, e-mail, social media, and more. 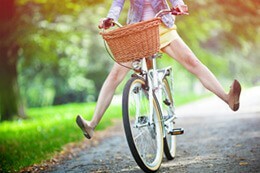 No matter your lifestyle and schedule, we have a plan for you! We deliver options where you can lock in your rate for up to 3 years, plans with variable rates tied to the natural gas market, offerings where you can earn free days, and much more. We even provide 100% green energy plans for the eco-conscious! Ready to bring your home into the 21st century? Get connected today with our range of products and partners. We help you can manage your energy usage on your terms. We want to be more than just your energy company--we want to be there for you every day as a partner in your home. 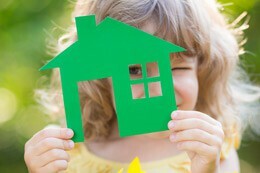 Visit the Live Brighter Blog for energy-saving tips, recipes, and home advice. Take care of all your home maintenance needs in one fell swoop with our amazing array of partners. From plumbing and electrical wiring to heating, air conditioning, and home protection, we've got it all! We agree with that old adage, so we're giving you both the knowledge and the resources to take full control of all things energy-related in your life. Visit our Learning Center to find articles, infographics, and tips on things like energy efficiency, home improvement, and deregulation. Feel free to visit often and share your favorite information with those who may need it most! We're getting out in our communities to connect with individuals and organizations who are working to make a difference. By empowering our employees to focus on social change and community engagement, we're able to help charitable organizations achieve their objectives all across North America. Learn more about our community involvement and programs. Find us on Facebook, Twitter, Instagram, Pinterest, YouTube, and LinkedIn for the latest industry news, updates for our customers, relevant weather information, and energy efficiency tips. Be on the lookout for special promotions and games on our page too - there's always something fun going on. Welcome to our very social Direct Energy community!